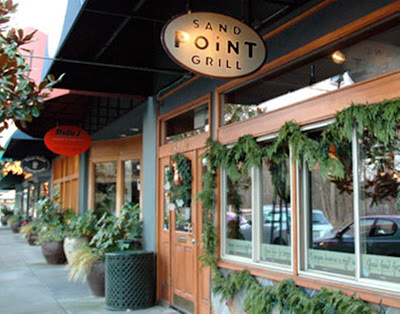 It’s been a decade since Seattle barmen Scott MacFarlane and Andrew Walsh opened Sand Point Grill in Laurelhurst, and two weeks since they quietly sold it to chefs Kristina and Craig Bartleson. 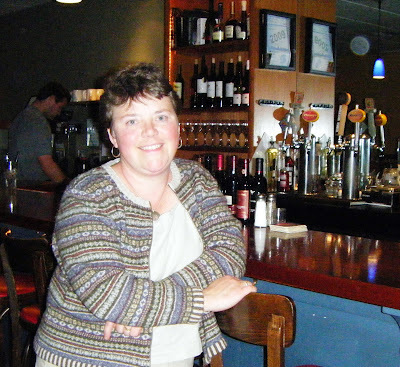 Last night, I stopped in for dinner and found Kristina alternately working, grabbing a post-rush bite and chatting up her new customers — old hands who treat this bar-and-grill like it’s their own personal dining room. And it didn’t take me long to divine that she’s exactly the kind of new owner I’d want heading-up my favorite hang-out if it were sold. When customers hear the Bartlesons bought the joint, she told me, they’re not shy about voicing opinions regarding the kind of changes they’d like to see — and what they’d like to see stay the same. Her patrons’ own sense of “ownership” was quickly made clear: they’re practically writing lists, she says. One of the things that hasn’t changed is the staff — save for the upcoming departure of chef Charlie Durham who made his mark at the late great Cassis before signing on at Sand Point. Kristina’s husband Craig will take his place, tweaking the menu in the process. Even former owner Scott MacFarlane will stick around, for now at least, bartending a couple nights each week and “hanging on the golf course” as often as possible, Kristina says. So, who are this couple who’ve lucked into such a great little operation? They’re the parents of two young sons who’ve finally decided that when it comes to owning their own restaurant, the timing was right. Their real estate broker approached the Sand Point guys and — voila! — a done deal, quick and relatively easy. 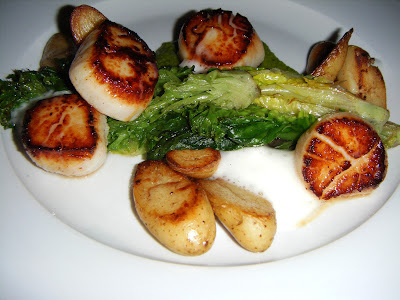 For the past nine years Craig’s been a private chef to someone who, “isn’t in the top five names you’d come up with,” according to Kristina — “though it might be the sixth.” The couple met years ago while working at the Sorrento: Craig under or with most every former Hunt Club chef I told you about in this post, Kristina as an intern during Chris Keff’s tenure. Collectively, they’ve worked at restaurants in Maine and Sun Valley (both), Rover’s (her), Canlis (him), and Kristina has worked for Kerry Sear at the Four Seasons Olympic, and again as lead pastry-chef when he opened Cascadia.